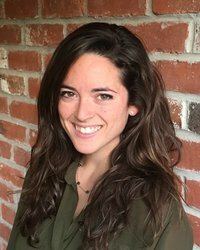 After earning a Ph.D. from the UC Davis Department of Agricultural and Resource Economics (ARE), Ellen Bruno will join the Department of Agricultural and Resource Economics at UC Berkeley in July 2018 as an assistant specialist in Cooperative Extension. 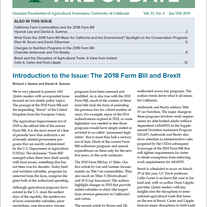 In her role, Ellen will develop a research and extension program that focuses on policy issues relevant to California's agriculture and natural resources. Ellen's Ph.D. dissertation is titled An Evaluation of Policy Instruments for Sustainable Groundwater Management. Her research assesses the potential of market-based instruments for improving management of groundwater for agriculture. Ellen's dissertation co-chairs are ARE Associate Professor Katrina Jessoe and Professor Richard Sexton. 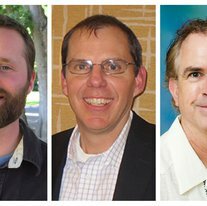 Dissertation committee members include ARE Associate Professor Pierre Mérel and UC Berkeley ARE Professor Michael Hanemann.